We are delighted to present this solo exhibition. David Humphreys has lived in Sussex for over fifty years and we first exhibited his work over a decade ago. Now at 80, he is still at the height of his powers and pushing his work in new directions. Humphreys’ work is rooted in the landscape, celebrating the land as a life force. Influenced by the poetry of Edward Thomas, he is a lyrical painter in the British pastoral tradition. Over the last year David Humphreys has continued his travels around the coast line of Great Britain His forthcoming exhibition explore many of his favourite places in Pembrokeshire Cornwall and the Hebridean Islands. With a Scottish mother and Welsh father Humphreys is continually drawn back to both countries. In Wales where he was evacuated as a child the land holds an emotional pull over him through both personal association and its layers of myth, history and legends. In the Hebrides he responds more to the purity of the islands, the vast sweeps of deserted beaches running into the sheltered coves, the ancient hills swathed in mist, the bare rocks, course grasses, and the white washed stone cottages hugging the shore or nestled in a dip of farmland. Under the artist’s brush this deserted landscape takes on a heightened perception . With his luminous but restrained palette, his feeling for rythm, pattern and form Humphreys paintings celebrate the land as the life force. ‘If we lose it what else is left?’, he says ‘It is the place where every thing relates and belongs’. 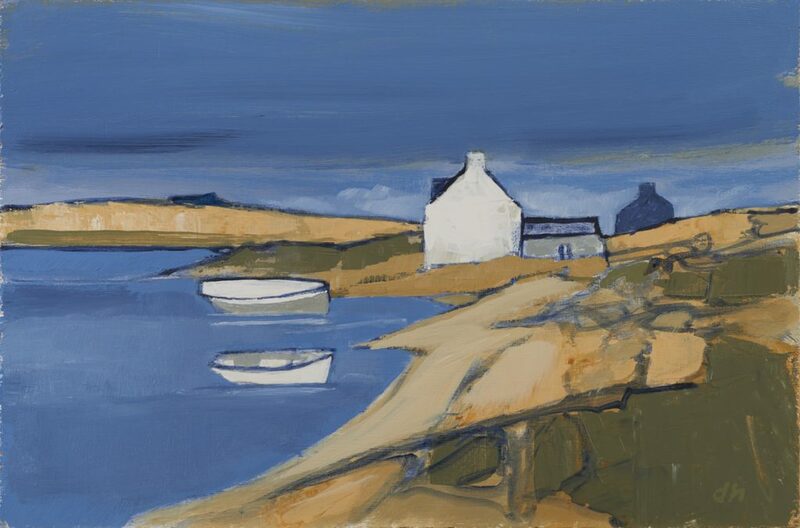 A regular exhibitor at the Royal Academy, Humphreys is represented in many private, corporate and museum collections including The Art’s Council of Great Britain and The National Library of Wales.